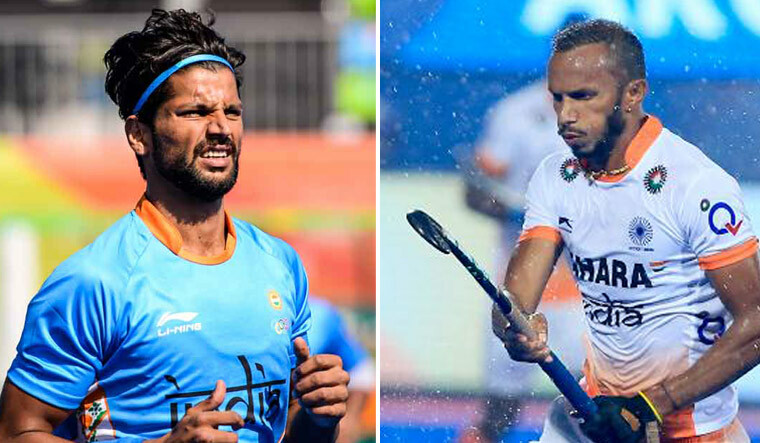 Manpreet Singh will lead India's 18-member hockey squad for the FIH World Cup beginning in Bhubaneswar on November 28, but the experienced Rupinder Pal Singh and S.V. Sunil missed out from the team announced on Thursday. Rupinder Pal has been ignored again after being dropped from the continental event last month. Sunil, too, did not play in the tournament in which India were declared joint winners with Pakistan after rain played spoilsport on the final day. India, which will play against South Africa on the opening day, features P.R. Sreejesh and Krishan Bahadur Pathak as goalkeepers. Manpreet's deputy will be Chinglensana Singh Kangujam, Hockey India said in a statement. “We have chosen the best available combinations for the World Cup. We had to make some tough decisions to select 18 out of a very strong pool of 34 players,” asserted Chief Coach Harendra Singh. “The final 18 are a mix of experienced and youth and have been selected on the basis of their current form and fitness. “These players have consistently shown their potential in the lead up to the showpiece event and I am confident India will put up a fighting performance,” he added.